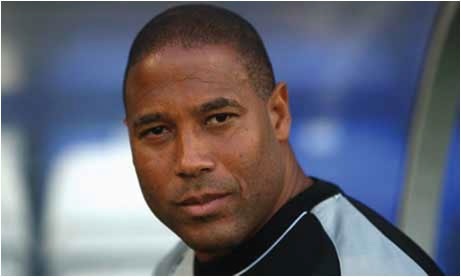 Former Liverpool FC player, John Barnes, will give a lecture at the University about racism in football, examining the initiatives introduced to tackle the issue and discussing whether or not they have been successful. Earlier this year, John, who endured racism throughout his career, took part in an Anti Racism Football Summit at Downing Street which looked at racism in football. A supporter of legislation to clear up the “ambiguity” over what is considered discrimination, he believes that racism will never be eradicated from football as long as it exists in society. John Barnes began his distinguished football career in 1984 at Watford FC before moving to Liverpool in 1987, where he stayed until 1997, winning the league twice, the FA cup twice and scoring 108 goals. He went on to join his former team mate and manager, Kenny Dalglish, at Newcastle before retiring in 1999. His career for England spanned 79 games and included 11 goals. John went on to a career in broadcasting and football punditry with regular appearances on ITV, Channel Five and ESPN, as well as being a contestant on BBC’s Strictly Come Dancing in 2007. He returned to football to run several coaching clinics across the Caribbean for young players in late 2007. The lecture will take place on Thursday, 17 May 2012 in the Sherrington Building at 5.30pm.